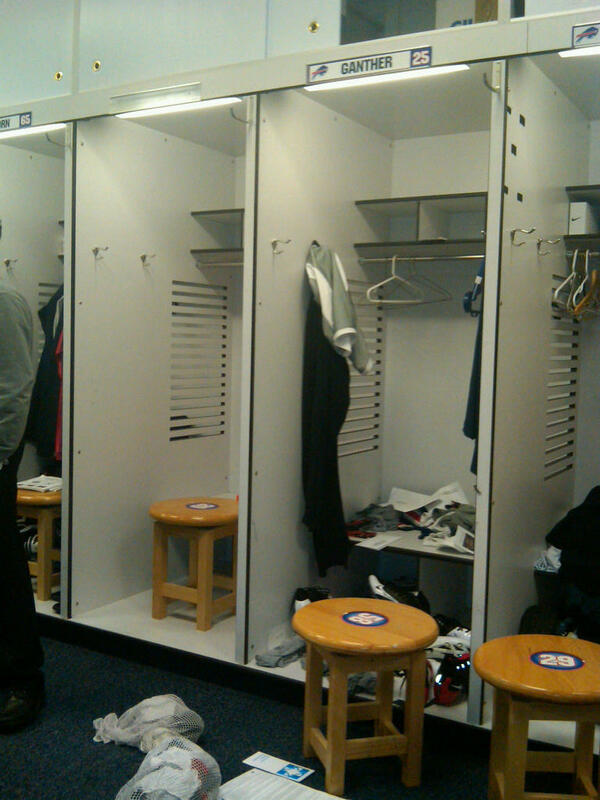 Bills free agent safety to be Donte Whitner was nowhere to be found during locker clean out at One Bills Drive Monday. The former first-round pick looked to be long gone with his locker completely bare including his name plate at the top, which was disappointing to see as far as his head coach was concerned. When asked Whitner’s apparent intentions to exit quickly Gailey said the following. “You don’t what kind of advice these guys get,” he said. Here was Whitner’s bare locker late this morning. It’s the one on the left.